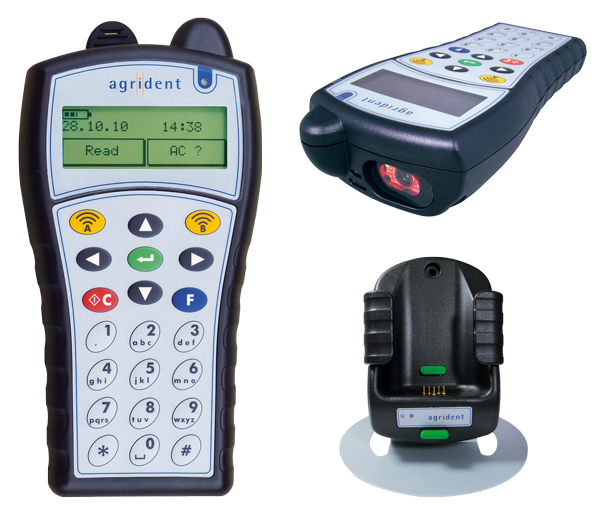 The portable ISO RFID reader APR500 BC has an additionally integrated 2D Barcode Reader. 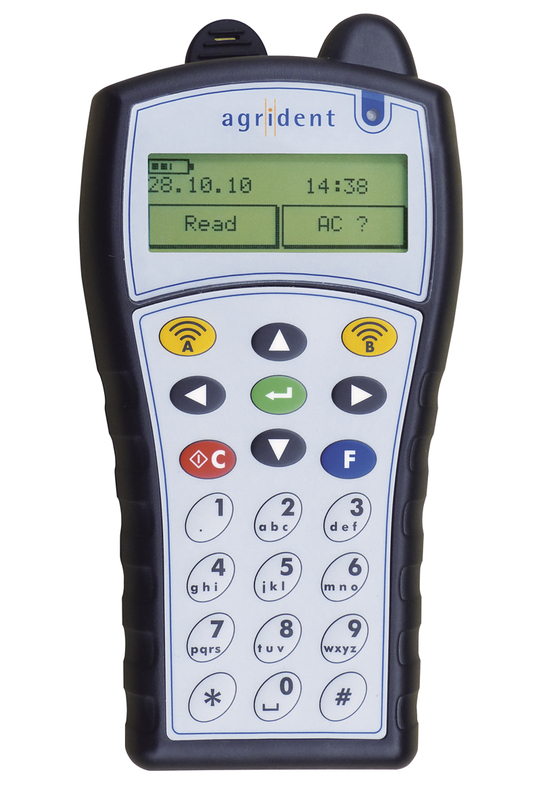 It offers an alphanumeric keypad, a graphical display, a large memory and flexible data management in a very robust and ergonomic IP 64 housing. With USB and Bluetooth it offers state of the art connectivity. The APR500 BC RFID Reader is compatible to the ISO Standard 11784/85 and reads FDX-B and HDX with a very good reading range. 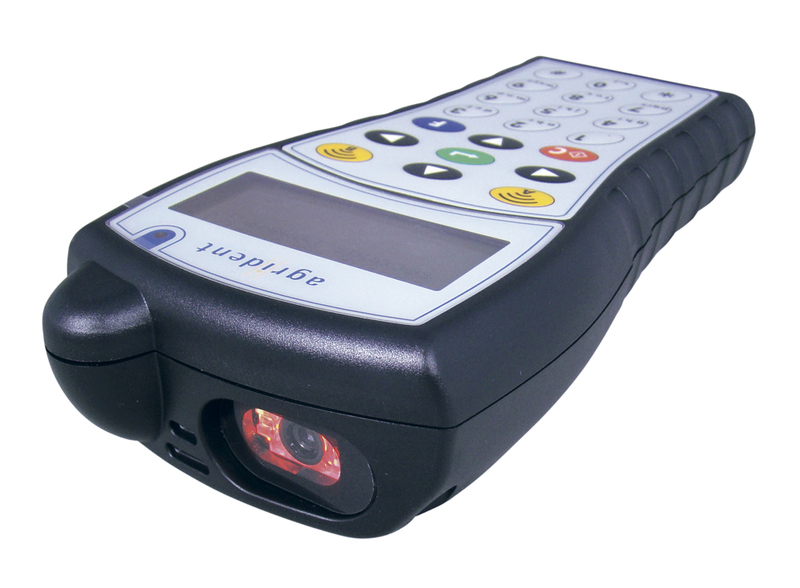 The integrated 2D imager read all common 1D and 2D barcodes like 2 of 5, EAN 8 and 13, Code 49, Code 128. Codabar, Codablock F, Data matrix and many others. Due to the handy design and the pocket size of its robust IP 64 case the reader is very comfortable even under worse conditions. 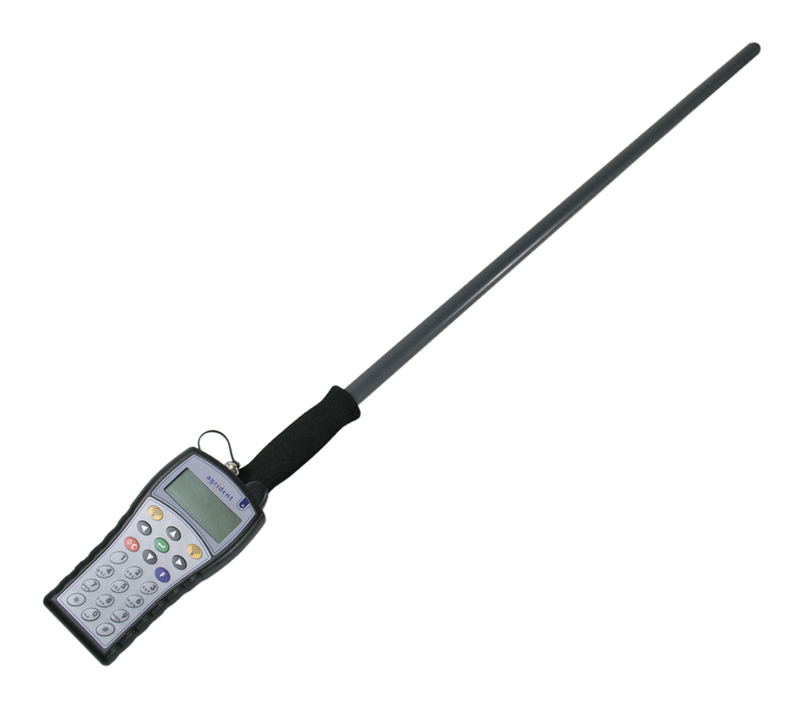 For the data communication, the APR500 BC has USB and Class 1 Bluetooth on board. 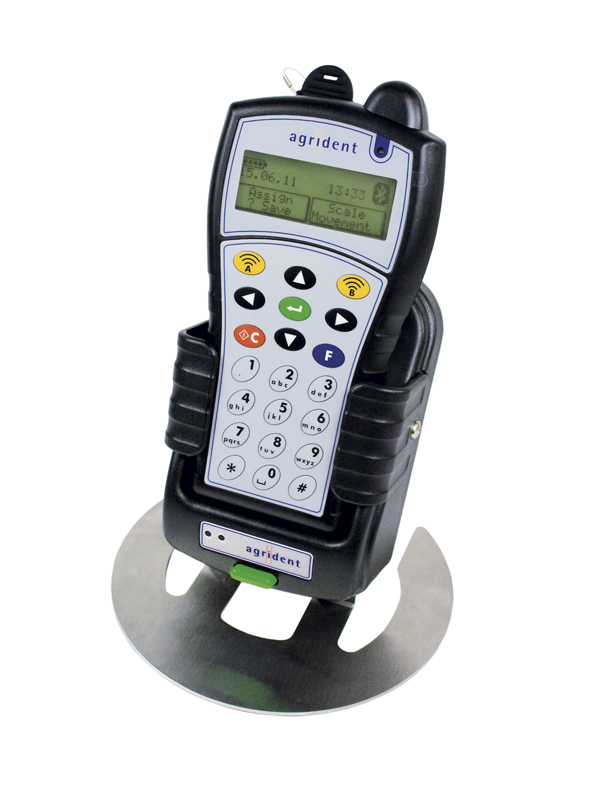 The APR500 can connect to Agrident's Android App in order to stream and store live data on a smartphone. In the CLASSIC mode user-defined action codes and numeric values can be combined with the ID. Visual IDs or farm numbers that can be assigned in the field can be displayed instead of the electronic ID. The two HOTKEYS of the APR500 BC can be programmed individually and to run a combination of commands by just by one button. In the TASK mode user defined sequences of actions or commands are possible. The Tasks consist of several loops (e.g. at lambing or loading) and lists (e.g. medicines). The design of the Tasks with the TASKTOOL software is very easy. In the SCALE Mode the APR500 BC can collect weighing data from major brand scales via Bluetooth and save them with the ID. 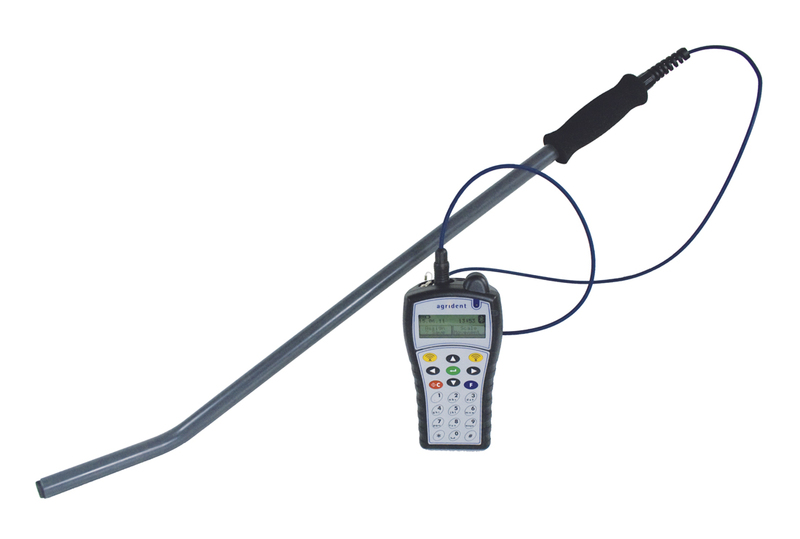 The SPEED Mode enables continuous reading and fast data collection. The RACE Mode is a flexible and economic solution for fast race reading with display and memory in combination with an ASRxxx stationary reader. For convenient power management the AA Type rechargeable batteries can be recharged via USB without an additional power supply.